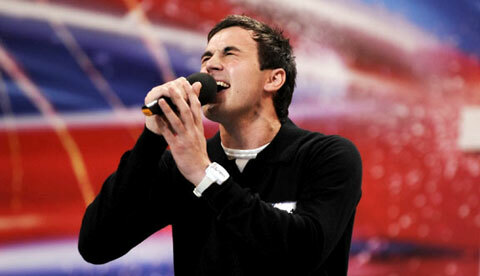 Everyone remembers the 'singing plumber' from Scotland who was the finalist in Britain's Got Talent last year. We recently had the pleasure of producing the debut album for this very talented young man who amazed us with his voice and endeared us with his humility. Find out more here..
You must have seen these commercials which had saturation coverage in the UK just before Christmas. Well, they were all done at Songphonic Studios - we did have a fun two weeks. Notice Osman's beloved PRS guitar in the first shot. 'Dead On Arrival' is currently being used for a major Berghaus commercial, shown in 30 second slots before the latest Bond movie, Quantum Of Solace. If you like this track you can purchase it from our online store or from iTunes. Physical CDs are available in good record shops in the UK and you can also order the CD from Amazon here. On 29th and 30th of August Osman was reciting Rumi (Mevlana) poetry on stage with the world famous Istanbul Sema Group from Turkey. Appearing at the Edinburgh Festival Theatre, the group staged a whirling ceremony to a background of mystical music and poetry performed by the world's leading whirling dervishes and musicians. The group which received great reviews for its Edinburgh performances also performed live on BBC's Radio Cafe program. You can listen to Osman's Rumi readings together with excerpts from the BBC performance by clicking here. For the next few months, Poppy will be appearing as one of the witches in a brand new production of 'The Witches of Eastwick' alongside Wet Wet Wet's Marti Pellow. Poppy just finished a 10 month tour of Aspects of Love where she was 'Giulietta' to rave reviews. 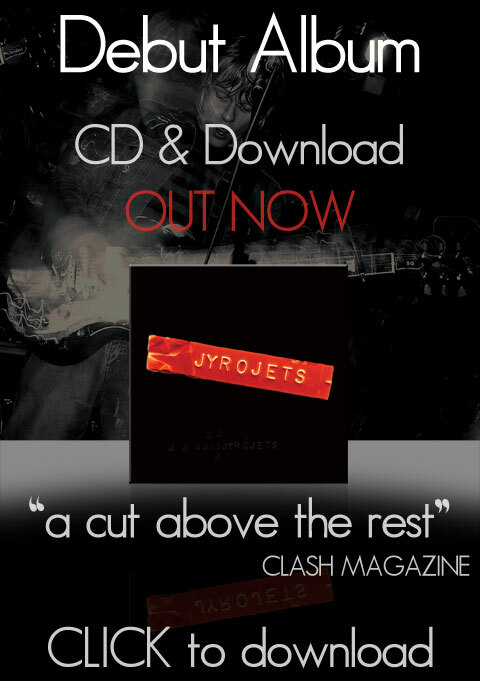 Jyrojets' hotly-tipped debut album is OUT NOW on CD and download. You can directly purchase from the band high quality DRM free MP3s and AACs (for iPods) at 192Kbits - 50% higher bit rate than iTunes. You can also purchase the album on iTunes and other major download stores. To coincide with the new single 'Dead on Arrival' (to be released on 9th June), we just completed a new video. The footage includes scenes from the movie '20 Cigarettes' which features this Jyrojets song in the soundtrack. You can watch the video here. 20 Cigarettes will premiere in the UK in June. The lads just got back from Russia where they had great gigs at Moscow and Siberia. They will now be touring round Scotland until the end of June. On June the 8th they will be performing on the main stage at Rockness music festival along side the likes of Razorlight. For complete tour details please refer to their myspace page. jyrojets had a great live session on BBC TV Scotland during a program dedicated to them. You can watch the whole program here. jyrojets had a fantastic few days at SXSW with packed out gigs and a great acoustic session on BBC Radio 1 with Vic Galloway. You can listen to the session here (click on the Acoustic Session). Jyrojets have a busy schedule ahead of them this week at SXSW in Austin, Texas. For the second year running, they have been chosen to play this prestigious music event. As well as being part of the Scottish Showcase, Jyrojets will be playing the BBC Radio 1 live broadcast. You can find out more about the Scottish Showcase on the BBC website. jyrojets :: Debut album is ready.. It has been a long time coming but it is well worth the wait. Jyrojets' self-titled debut album is finally finished and mastered. It is expected to be released sometime after SXSW. You can hear selected full tracks of the album with its hard-hitting new sound here. Jay-Lal is currently appearing at the legendary Nublu club in New York, headlining with Wax Poetic and promoting his forthcoming album. You can hear selected tracks from this album by clicking here. Jyrojets' eagerly awaited next single 'Hollywood Hold On' is now available and just entered the UK indie charts at #28. You can buy the download on our digital store now or from iTunes . Please click here to view the promo video. Jay-Lal just released a summer single 'Turn On The Radio' together with a smashing new video which you can watch here. You can also purchase the single by clicking here or on iTunes. Jyrojets' May single "Favourite Thing About Jane" entered the indie charts in the UK at #24. The single which Sunday Times called the 'hottest download' can be downloaded here and also on iTunes worldwide. Jay-Lal opened for the legendary Joycelyn Brown in London's Jazz Cafe on 23rd and 24th of May in front of a sell-out audience. So soon after their well received gigs during SXSW, Jyrojets are back in the USA for a two month tour in a red double decker bus. The tour sponsored by BBC America showcasing new British music talent, started in San Francisco on 24th of April and will finish in New York middle of June. You can find out more about the tour here. Jyrojets opened for Richard Ashcroft at Glasgow SECC on the 29th of November to a sell out audience. During his encore Ashcroft called them 'a great young band'. He is one of the band's heroes and they had already bought tickets, never dreaming that they would actually be opening the show in front of 10,000 people. They also gave an interview to Scottish Television (STV) during the show which you can watch here. Jay Lal has just completed supporting Beverley Knight during her sell-out 21 day UK tour. This was a major event with an estimated audience of around 40,000 people and won him lots of new fans. Having just finished Mary Poppins in London, Poppy is starring as Eliza in My Fair Lady in Denmark during December and January. Coinciding with this production, Poppy just released her debut single which you can download here. Then you came to the right place. 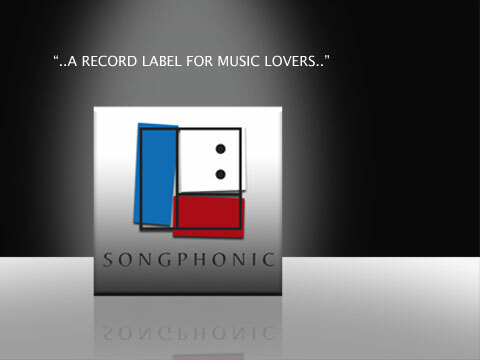 Songphonic was formed to provide an artistic platform to develop and deliver quality contemporary music for music lovers everywhere. Songphonic is rare in developing new talent. We are currently incubating a number of artists and bands who will be releasing albums during the next 12 months. We are an audiophile label, fanatical about music, sound quality and production values. Our debut album was chosen by What Hi-Fi magazine as a Test CD describing its production as faultless. Our secure digital download store is now open and DRM FREE for MP3s and AACs. Here you can buy high quality 192Kbit tracks and albums for your iPod, PC or compatible portable music players. The store is fully chart certified for the official UK charts and any of your purchases will contribute towards the chart position of your favourite artist. We can accept credit card and PayPal payments from most countries in the world. The store is run by 7digital who handle major artists like Coldplay. Please click here to go straight to the download store. We hope you will find our new site easy to navigate and use. To listen to music or to watch the videos you will need a BROADBAND connection. To listen to various music channels, simply press the LISTEN button which will launch a multi-track audio player and like a radio station it will continue to play even when you browse from page to page until you select another channel. Note that although you will only see five tracks at a time, you can reveal more tracks by controlling the slider to the right of the player. For videos, just press the WATCH button. If the particular artist has multiple videos online, click on the [next video] link to step through the available videos. The clips have been optimized for 500Kbit ADSL links and use the high quality flash format.